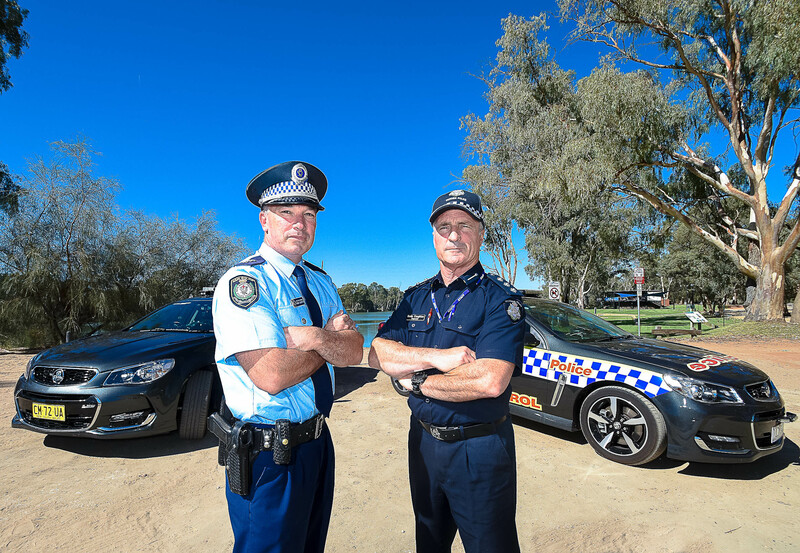 POLICE on both sides of the Murray River are gearing up for a massive two-week period as Sunraysia becomes a destination hotspot during school holidays, Easter and ANZAC Day. Thousands of visitors are expected to arrive in the region for the Easter Powersports weekend, while the start of the NSW school holiday period, and upcoming ANZAC Day commemorations, will also create more traffic on our roads. NSW and Victoria Police this week presented a united front as the busy holiday period approaches, with police on both sides of the Murray River to be cracking down on those doing the wrong thing. Speeding, distraction, drink and drug driving and fatigue will be a major focus, with a number of road operations to be in effect over the next two weeks. 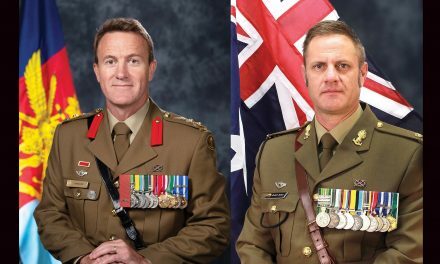 NSW Police Acting Inspector Trent Swinton said two operations would be in effect in NSW during this time, with Operation Tortoise to run from Thursday, April 18, to Monday, April 22, and Operation Go Slow to be in effect from Wednesday, April 24, to Sunday, April 28. “NSW Police will effectively be out in force… with every vehicle capable of conducting breath testing and drug testing,” he said. “We will be focusing on impaired drivers, while highway patrol members will also be focusing on those drivers speeding, and who are distracted and fatigued. Acting Insp. Swinton said that double demerit points will also be in effect during Operation Tortoise and Operation Go Slow. “Our focus is on ensuring that we have no road traumas, and that people get to their destinations safely,” he said. Victoria Police, meanwhile, will be enforcing Operation Nexus over the Easter period. Mildura police Inspector Kevin Coughlan said that Operation Nexus would run in conjunction with NSW Police Easter operations. 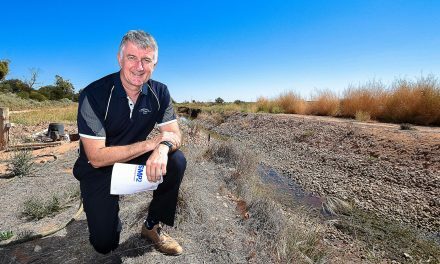 He said that Mildura members would also be tasked with ensuring the large influx of visitors to our area are well behaved. “We expect some percentage of the Easter crowd to hang on and extend, and there is also a school holiday overlay in that period as well,” he said. “Our (road) fatalities locally are well above our numbers compared to this time last year – we’ve had eight fatal crashes with nine deaths. “Road policing and public order offending will be a focus, and we will also have a specific focus on targeting drug-impaired drivers. Insp. Coughlan said that one of Victoria Police’s state-of-the-art ‘Booze Buses’ will also be in the district for the Easter period – arriving on Thursday, April 18. “The bus will stay until Monday, before it will hit the road and do some work through Swan Hill,” he said. Insp. Coughlan said that with a population ‘explosion’ expected over the Easter period, a leave embargo had been placed on local members. “It’s our busiest time, so it’s all hands on deck,” he said. “Easter in Mildura is usually dominated by family-friendly crowds, so we’re not expecting too many issues on that front. Acting Insp. Swinton and Insp. Coughlan also called on people to plan ahead. Acting Insp. Swinton and Insp. Coughlan also issued a warning to visitors to the region to be mindful of the challenges posed by country roads. “Some people are just not used to driving on open country roads,” Acting Insp. Swinton said. “In particular when they’re travelling in the evening or periods of darkness, they’re not used to the wildlife which can sometimes be on our roadways. Insp. Coughlan said that visitors on the Victorian side of the border travelling through Lake Cullulleraine would also be able to make use of a dedicated, SES-manned Driver Reviver site.